I submitted this to the ODT as an Opinion Piece following their editorial, but I have been told that it has not been selected for publication. Up to you to judge why. 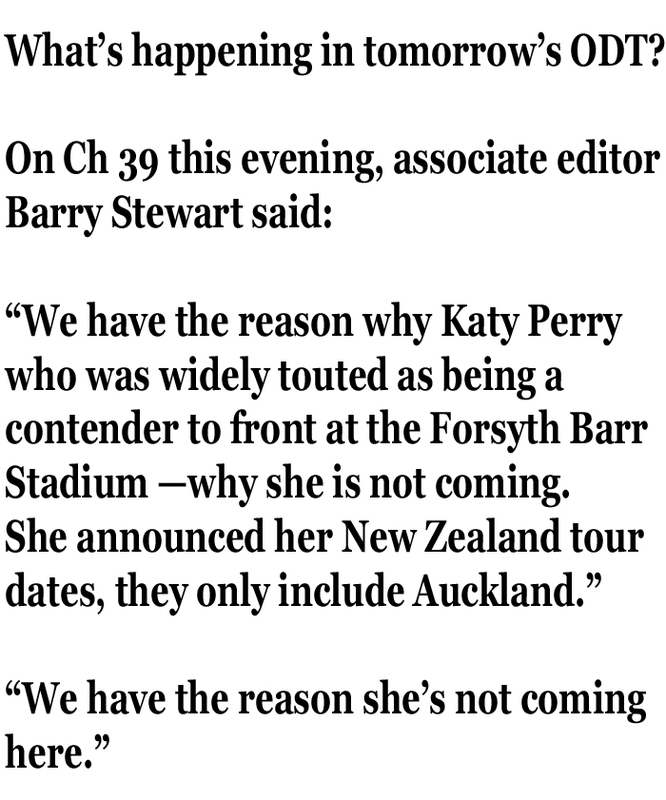 “The ODT Editorial of Friday, 22nd November, 2013 headed “Stadium’s hard act to follow” is another stage in what has turned out to be a sorry chapter in Dunedin’s history. Many residents of Dunedin were dismayed and astonished that the decision to build the new rugby stadium proceeded despite wide-spread protests and well-researched submissions detailing the experiences of other city’s decisions to build stadia which invariably had led to construction cost blow-outs, below budgeted incomes and over budgeted expenditures. As it turns out, these submitters have been proved right time and time again. What is patently obvious to all of those that have read the various reports into this project including the Larsen Report and the PWC report, the project was predicated upon counting future income as private construction costs, and assuming income levels and costs that would have resulted in an actual profit from Year one of operation. The reality is a great deal different. The DCC, and the ratepayers of the City, have been forced, through a complex set of financial arrangements, to provide substantial financial support by way of a payment of $7.25m per year to enable the debt to be paid off faster, a payment of $750,000 per year for “promotion of the stadium for community events”, a payment of $725,000 for other stadium debt round seats and pitch machinery, another annual $400,000 to subsidise or attract large events, and ongoing additional costs for financial advice and the like. All this on top of the huge costs for construction and the associated debt which is a very large component of the $12,000 debt owed by each and every ratepayer to the DCC. Dunedin Venues Management Ltd (DVML) has been testing the stadium sound system since February, and has discovered it is only working at 20% of what is needed. Queries about the sound system were only some of a barrage of questions from Dunedin city councillors before they adopted the annual reports of DVML and Dunedin Venues Ltd this week. Permanently fixing problems with Forsyth Barr Stadium’s public address system would cost between $500,000 and $800,000. DVML chief executive Darren Burden said the cost did not include permanently fixing sound issues with the wider auditorium, such as those experienced at concerts. They would continue to be addressed by temporary measures installed by promoters. He said DVML had been working with acoustic engineers and sound system experts, including the company that installed the system. There were problems with the transmission of sound from microphones on the pitch to the sound box that delivered sound to speakers around the stadium. The solutions, which ranged in price depending on what standard of sound delivery was wanted, involved improving the sound transmission from the field and installing more speakers around the stadium. The cost of fixing it had to be dealt with internally by DVML. Head in the Sand Award? Submitted by russandbev on Sat, 12/10/2013 – 9:06am. Just another example of the difference between reality and hype. Ratepayers have been assured since the building of this rugby stadium that the PA system was state of the art. Indeed, the hype from the Carisbrook Stadium Trust before the build indicated that it was even better than that. Now ratepayers are told that it will cost the best part of a million to get right for the most basic of requirements, and that the costs of running the stadium will rise. Who is being held accountable? Not those responsible for this ongoing shambles, but only the ratepayers. For more, enter the terms *dvml*, *darren burden* or *stadium* in the search box at right. Received today from Russell Garbutt [email]. 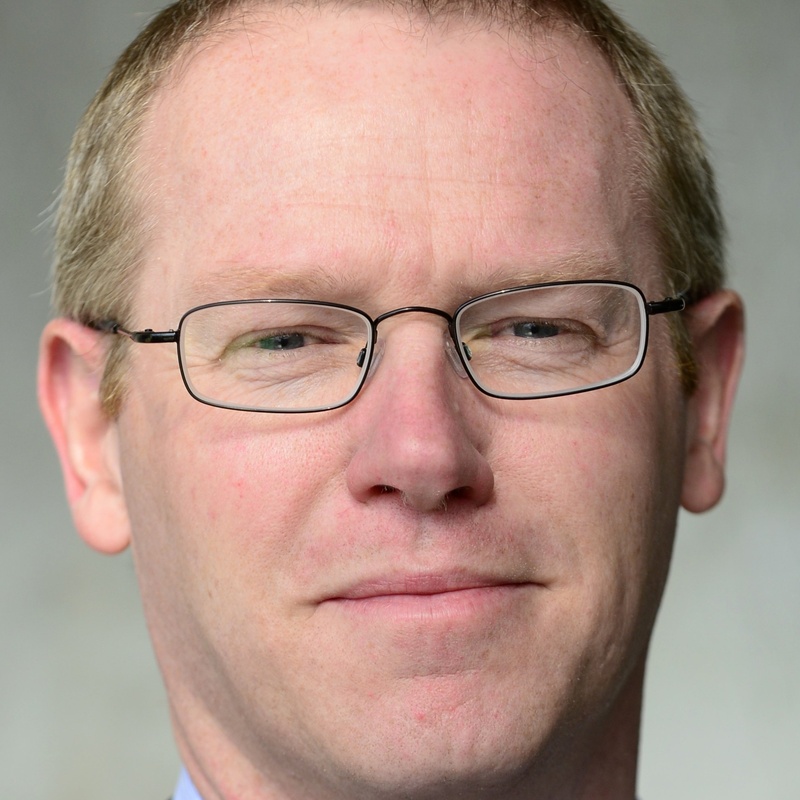 Have readers of the ODT online site noticed the failure of the ODT Online Editor to acknowledge that they are abridging comments or simply wiping them? Now why this sensitivity? The ORFU were involved in a rort and everyone knows that. Were there shonky deals done behind closed doors? Well, we have Carisbrook, Jacks Point and Luggate as examples that are in the public domain. Is it that the ODT don’t want some Councillors to be exposed for what they are? Well here my posting in another thread with the deleted portion emboldened. So, the ODT had printed stories about the sound quality and the turf quality so they couldn’t take exception to that, but they didn’t want Farry and the Stadium Councillors being asked to be held accountable. This I suggest, is a very clear indication of where the ODT’s sympathies and probable support will be for any forthcoming Council elections. Can it logically be seen in any other way? When the What if? moderators enter “abridge” in their dashboard search box up come 74 items of observation and complaint on multiple threads about comments being abridged or not published after submission to ODT Online. An environmentally friendly ringroad and a school sports hall made from recycled freight containers are among the 24 finalists competing for Britain’s top public architecture prize. One of the projects, picked from 125 submissions of new work from the public sector, will be chosen to win the ninth Prime Minister’s award for Better Public Building in October. The competition was set up to try to improve standards not only in public sector architecture but throughout the building process, from procurement to interior decoration. The Prime Minister’s Better Public Building award aims to show how ‘architecture of the everyday’ – streets, schools, bridges and stations – ranks among the most imaginative and beautiful designs being built today. As the infrastructural phase of the 2010 FIFA World Cup preparation project nears completion, concerns emerge around whether the acquired assets, which will cost the South African government over R20-billion on completion, will be used after the final goal is scored. In an interview with Engineering News, 2010 FIFA World Cup Organising Committee South Africa (OC SA) CEO Dr Danny Jordaan assures that the project, including five greenfield stadium projects, five stadium upgrades and the development of associated public transport infrastructure, will deliver maximum returns on the investment for South Africa. “In a developing country, the most important question to ask when planning and implementing a project of this nature is what the postevent use of the infrastructural investment will be,” says Jordaan. How do you . . . lead a restoration effort for an architecturally and regionally significant structure? The City of Miami’s Historic and Environmental Preservation Board has nominated the Miami Marine Stadium for historic landmark status from the National Trust for Historic Preservation. Miami-based Friends of Miami Marine Stadium, under the umbrella of Dade Heritage Trust, has been working with AIA Miami in seeking to restore the 1964 concrete Modern structure that sits on the Virginia Key barrier island facing Biscayne Bay and features a view of the downtown Miami skyline. A generation ago, the University of Cincinnati was a commonplace American commuter school riddled with surface parking lots, the campus severed by a busy thoroughfare. Despite being nestled in the heart of a large city, it felt suburban. But over the ensuing years, the university has undergone a billion-dollar makeover. Brian Libby is a Portland, Oregon-based freelance writer who has also published in Metropolis, The New York Times, Christian Science Monitor, and Architectural Record. A giant blue cuboid has sprung up in Copenhagen, Denmark. This striking scaffolding box wrapped in translucent blue fabric is the new Copenhagen Concert Hall. Designed by Pritzker Prize-winning French architect Jean Nouvel, with acoustic design by noted Japanese consultants Nagata Acoustics, the building is the new permanent home for the Danish National Symphony Orchestra. Visitors arriving by train will find the immediate context of the concert hall strange and uninhabited, aside from the giant blue box. At first glance, there seems to be little more to this neighbourhood than a train platform. Seemingly marooned in a vast dusty wasteland — Nouvel has said he imagined the building as an asteroid crash-landed on the site — the building’s simple form comes alive at night as a massive projection screen for video and images, a glowing lantern surrounded by canals. Nouvel has managed to create a world-class national concert venue for Copenhagen — something the city previously lacked — as well as the local heart for a growing community, mixing practical and high-performance Danish modernism with jubilant and theatrical French avant garde. Terri Peters is a writer and designer based in Copenhagen and London.